Gallant men of the Economic and Financial Crimes Commission have apprehended and arraigned one Efe for alleged fraud. 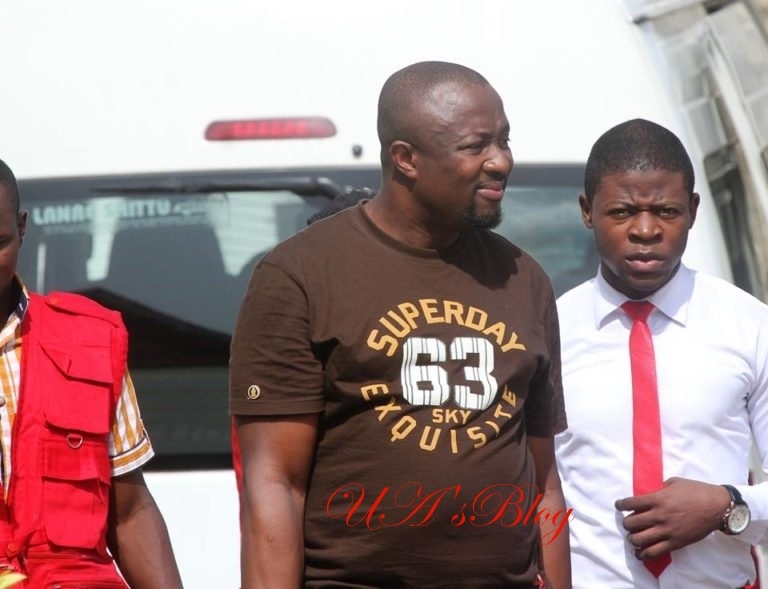 The Economic and Financial Crimes Commission, EFCC, Lagos Zonal office, on Thursday, June 28, 2018, arraigned one Efe Egube and his firm, Oceanic Energy Services Limited, before Justice Oluwatoyin Taiwo of the Special Offences Court sitting in Ikeja , Lagos on a two-count charge bordering on forgery and obtaining by false pretence to the tune of N97, 020, 000.00. The defendant was said to have fraudulently obtained a loan facility from Enterprise Bank( also known as Heritage Bank), with forged documents. Count two reads: “That you, Efe Egube, Oceanic Energy Services Limited, on or about the 25th day of September, 2013 at Lagos, within the Ikeja Judicial Division, knowingly forged a Local Purchase Order (LPO) dated 25th day of September, 2013 with LPO No. 0002775 with intent that the document may in any way be used or acted on as genuine to the prejudice of another.” The defendant, however, pleaded not guilty when the charge was read to him." In view of his plea, the prosecution counsel, Bilikisu Buhari, asked the court for a trial date and prayed that the defendant be remanded in prison custody. The defence counsel, E.D. Onyeke, informed the court that he had filed and served the prosecution summons for bail on behalf of his client. He also prayed the court to grant his client bail in liberal terms. However, the prosecution counsel, Buhari, told the court that the defendant was a flight-risk, adding that he once jumped an administrative bail granted him by the Commission. After listening to both counsel, Justice Taiwo granted the defendant bail in the sum of N10million, with two sureties in like sum. One of the sureties must be a close relation to the defendant, while the other must be a land owner within the jurisdiction of the court. The two sureties must be properly identified and their addresses verified by the Court Registrar. Justice Taiwo adjourned the case to October 18 and 19, 2018 for commencemnt of trial.